Great moisturiser it really helped calm my skin down and took out all the redness I had been experiencing due to irritation from other products. My skin felt instantly cool, calm, fresh and moisturised. This cream is perfect for more sensitive skin types. It has a nive texture and absorbs into the skin quickly. It is also lightweight so great for putting on before make up. Nice attractive pot, easy to use, works really well. I love Lancome, they make wonderful products that I can justify buying, I have always had great results from them! 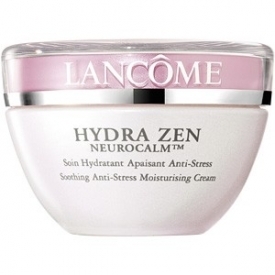 This particular cream is a top favourite when my skin decides to play up, the calming properties are amazing. Not too heavy or greasy, the absorption is really good and face is left moisturised, no longer tight and looking bright and clear. The pot is nice and attractive, looks elegant and feminine. Certainly a 10 out of 10 from me! This cream is a lovely consistancy,just right not too runny or thick. It feels really soothing then you apply it and sinks in straight away. leaves skin feeling soothed and moisturised all day long.